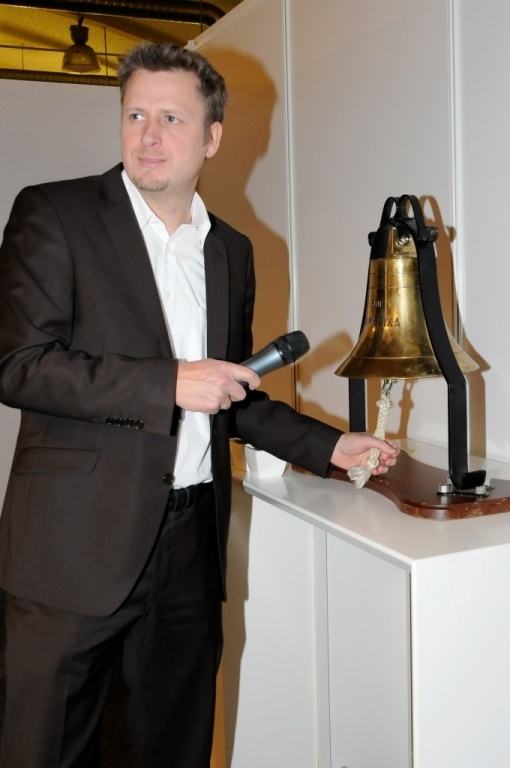 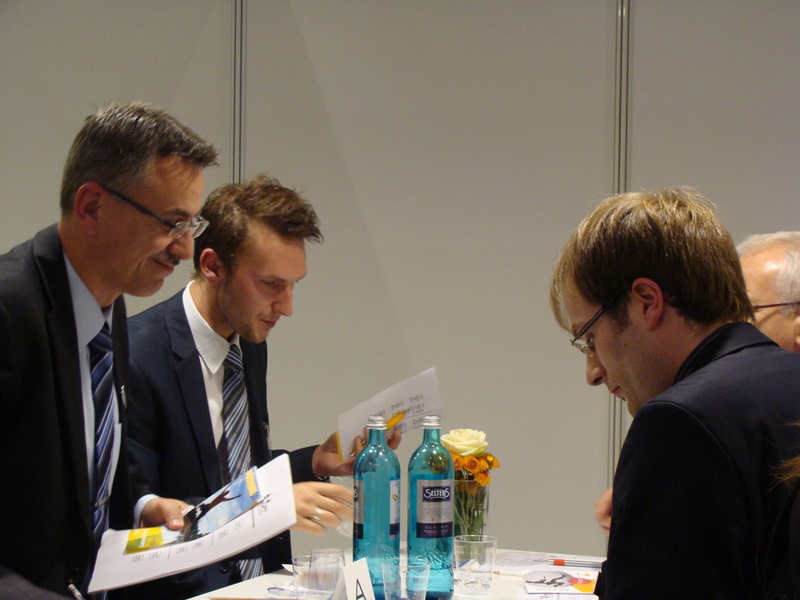 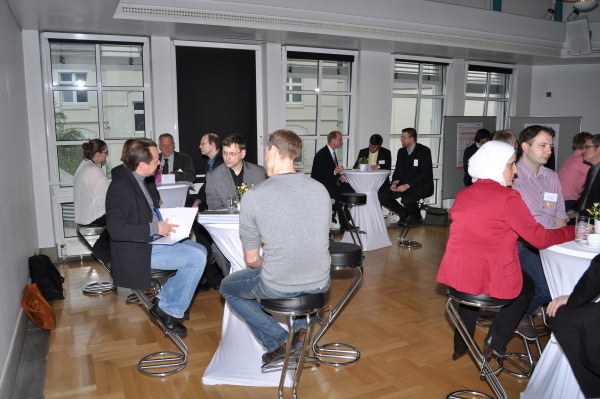 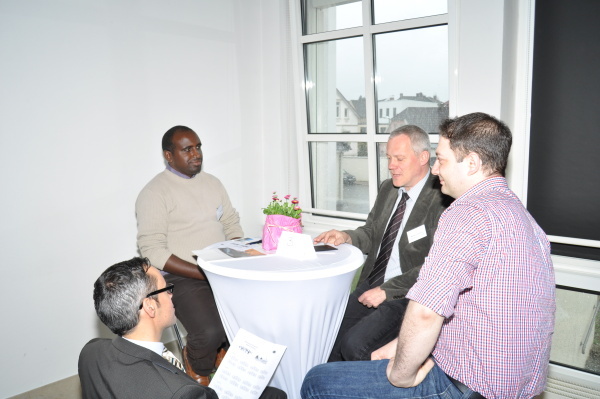 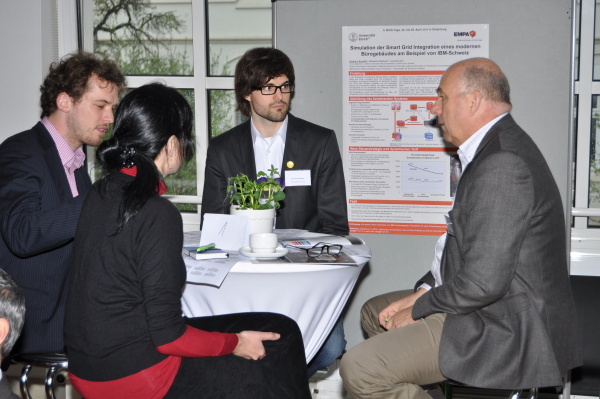 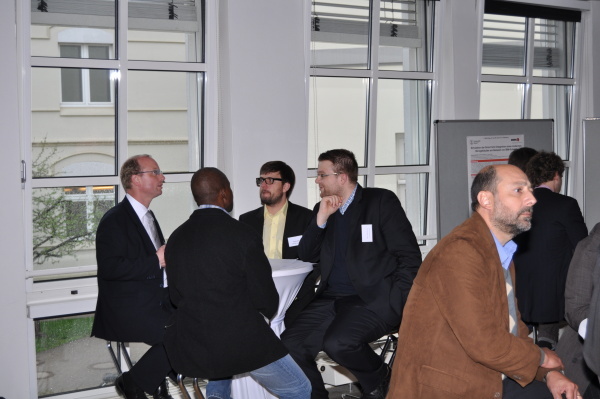 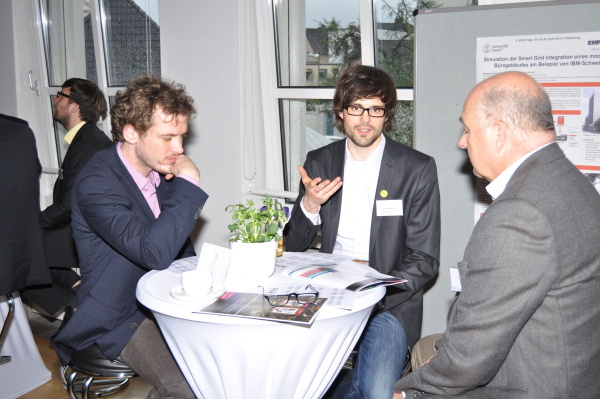 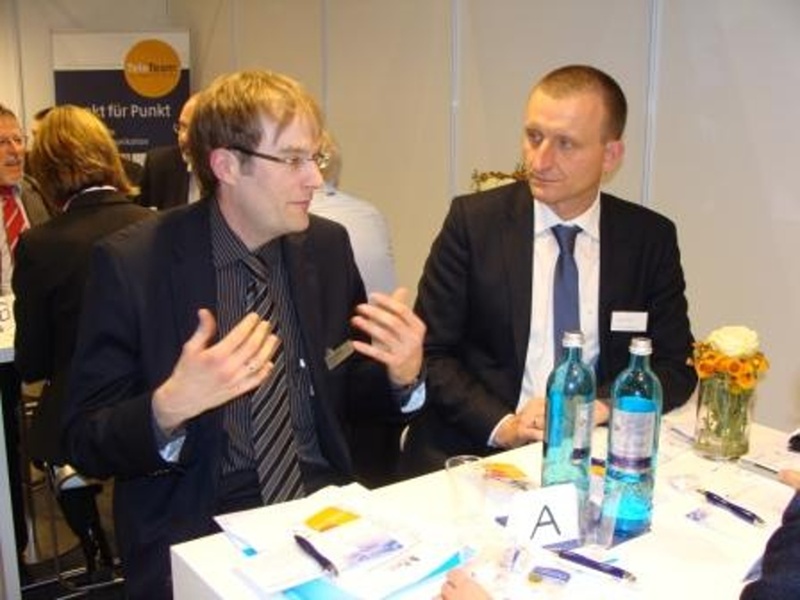 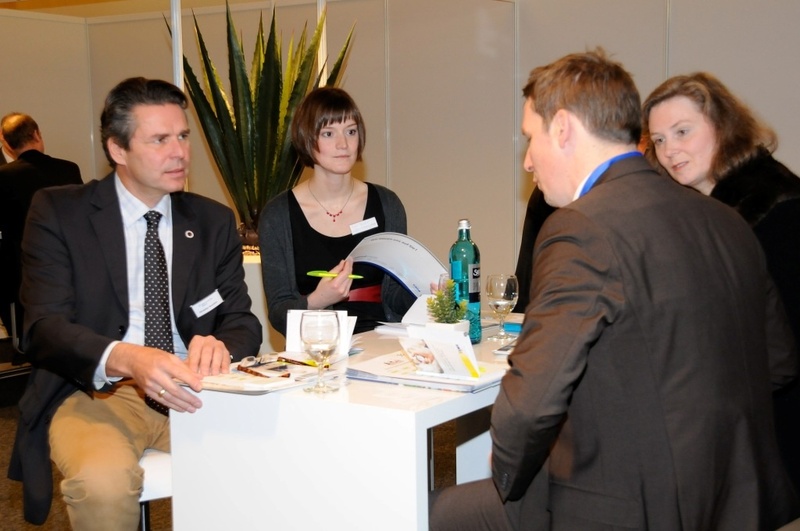 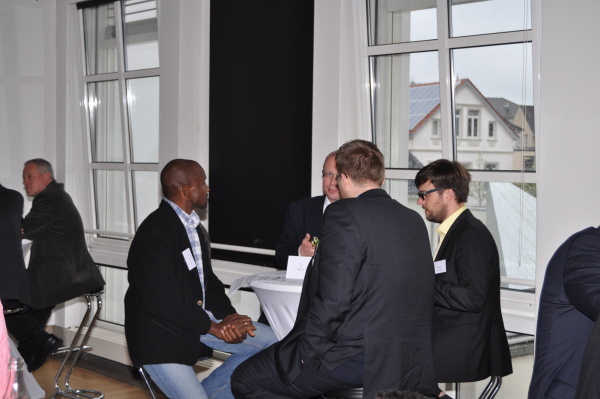 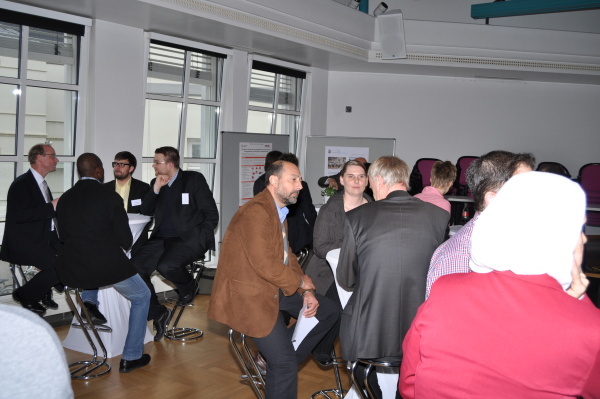 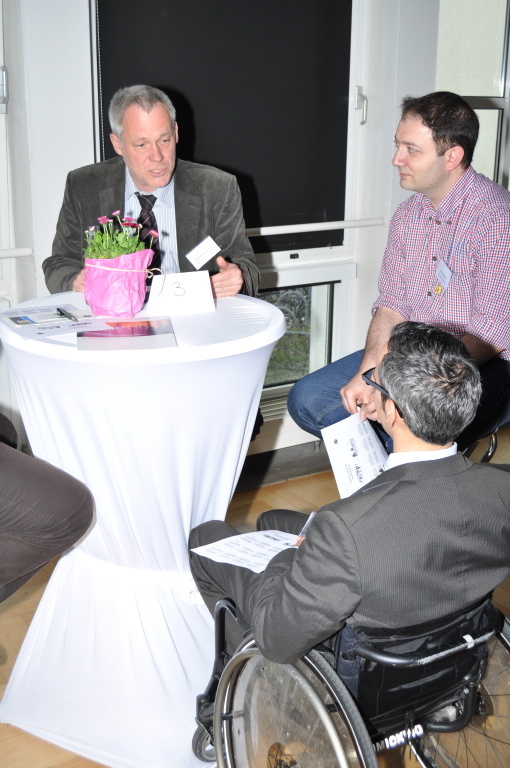 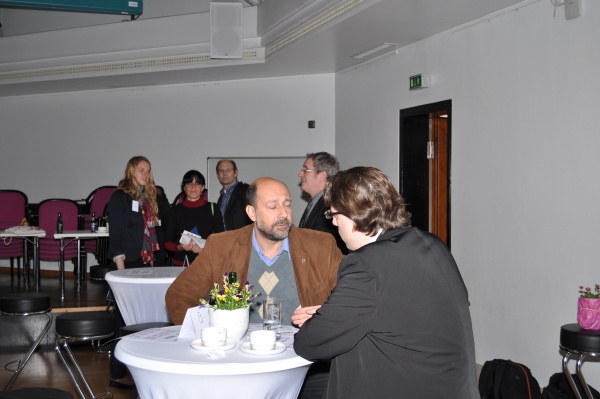 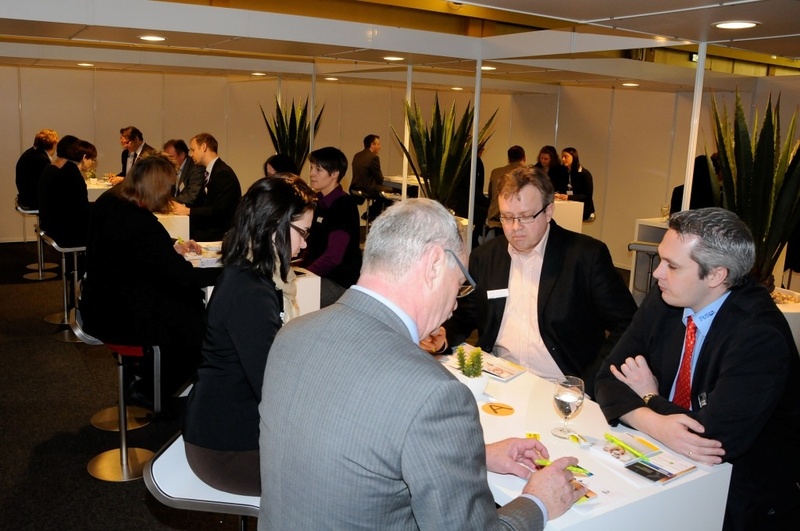 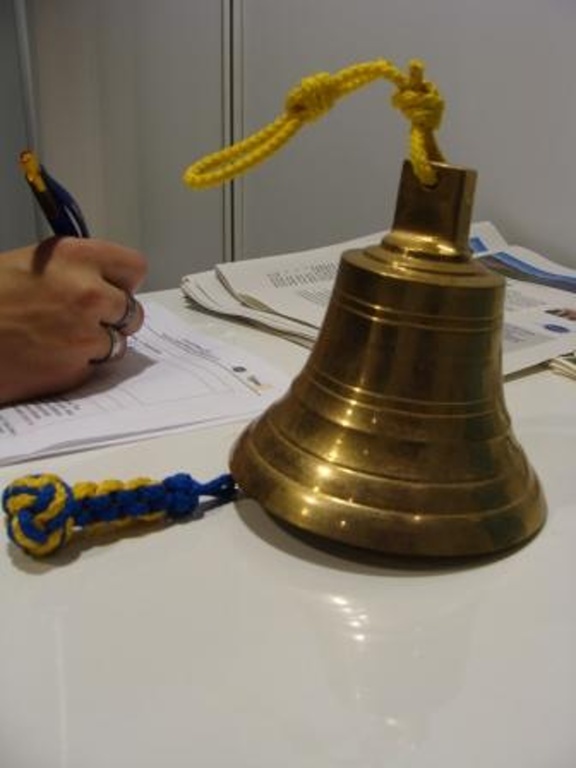 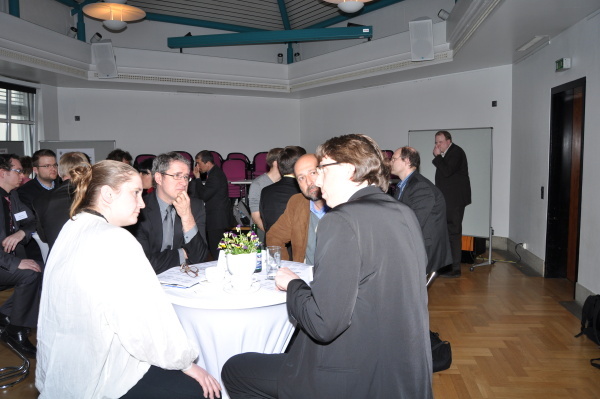 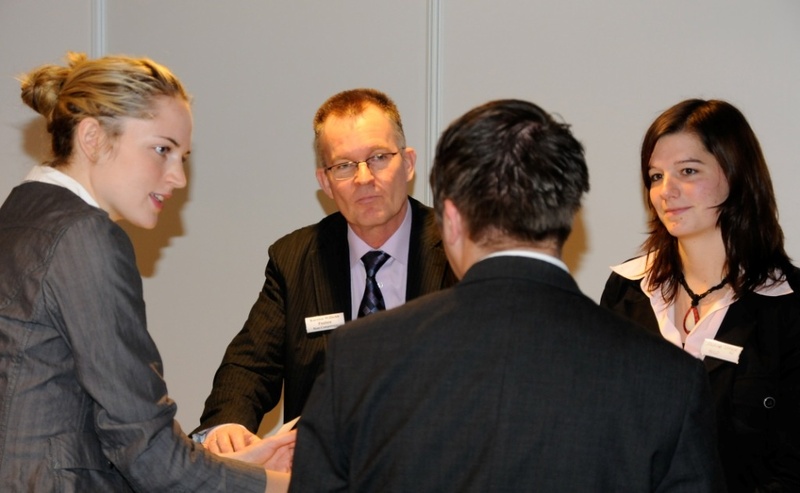 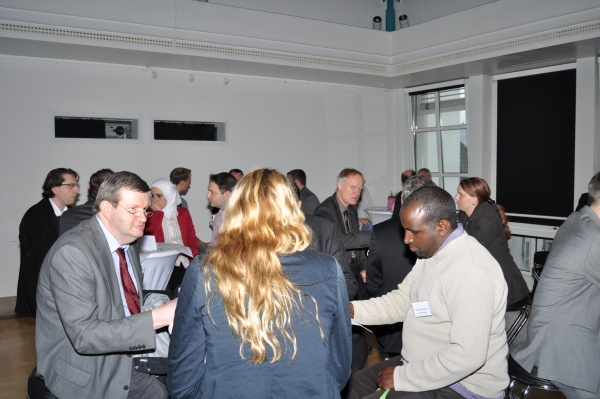 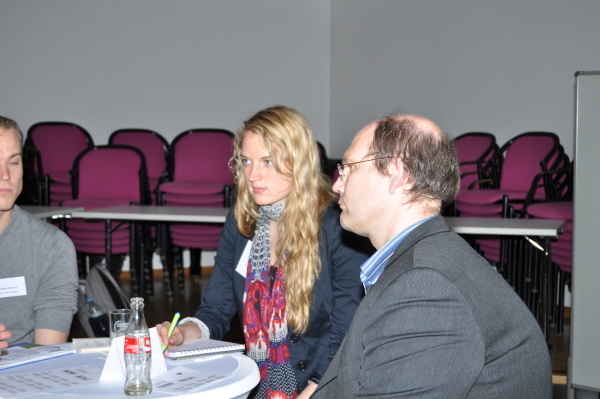 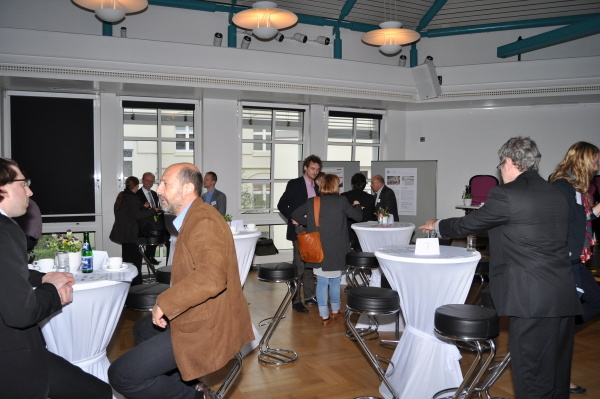 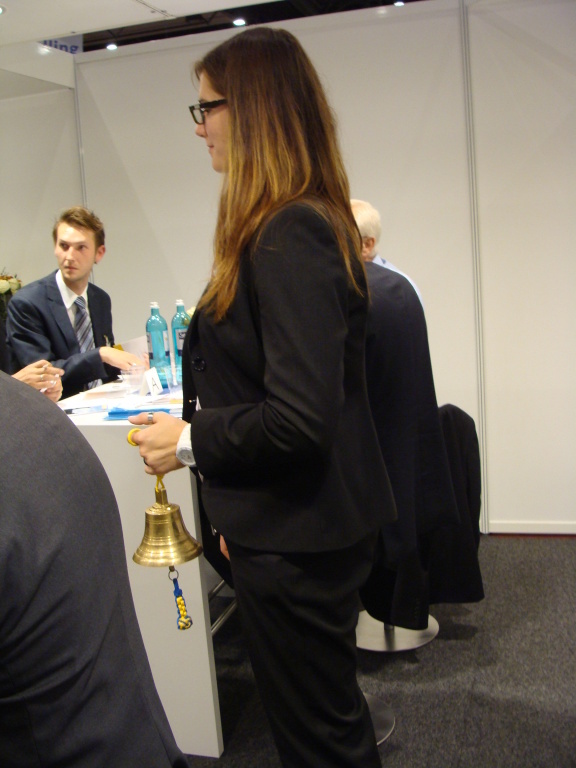 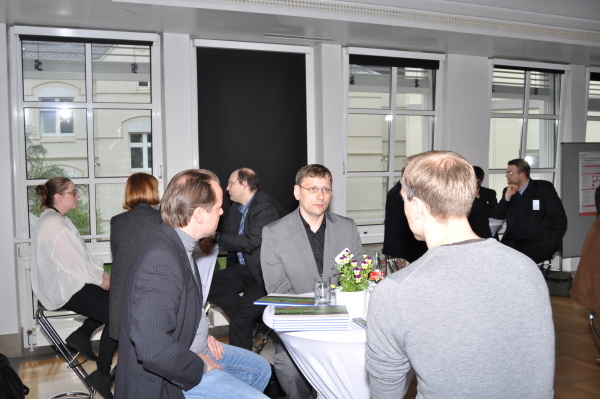 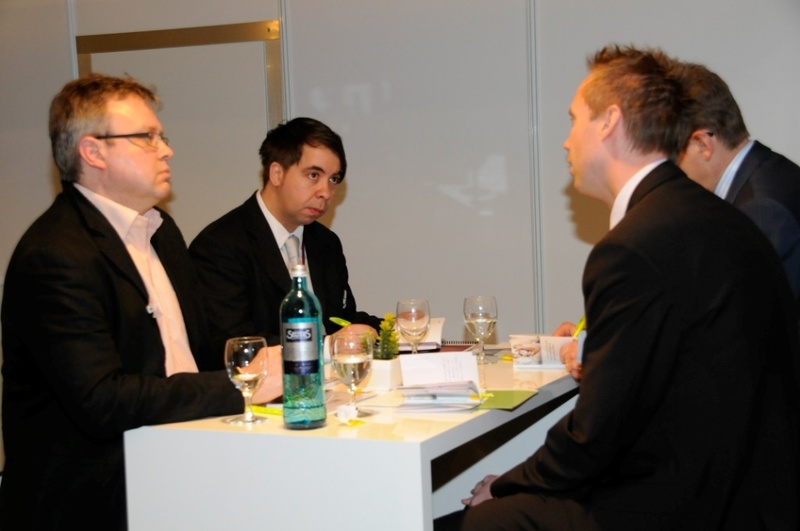 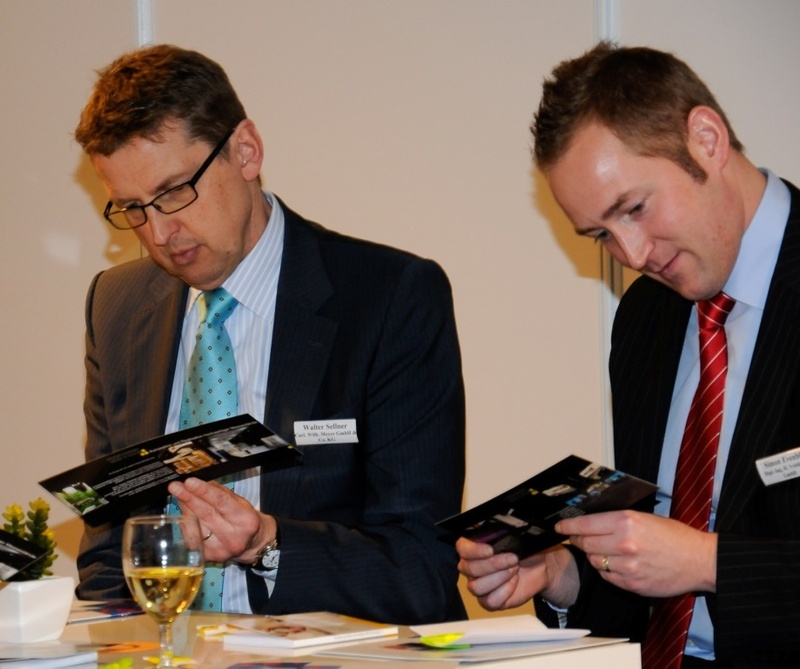 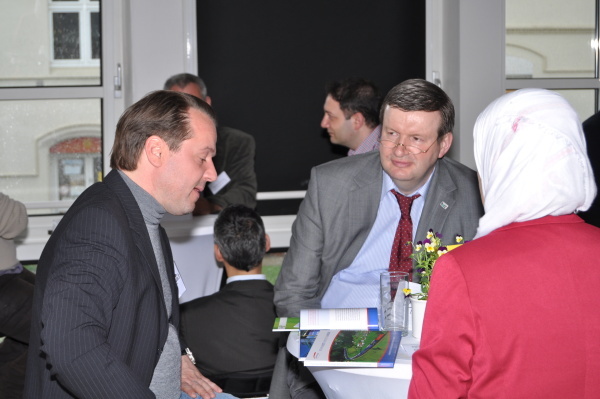 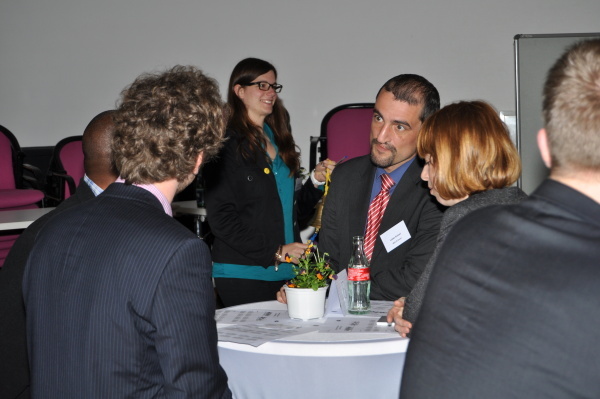 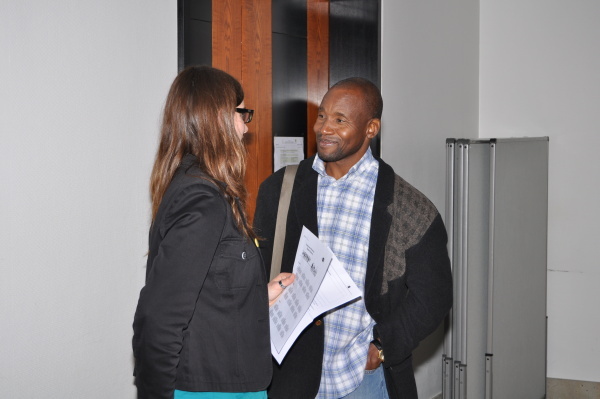 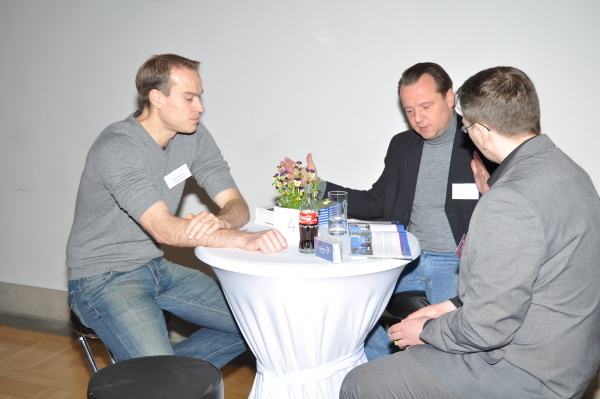 At the EnviroInfo2014 conference, business representatives and scientists have the opportunity to join our special event “Business-Science-Speed-Dating” (BSSD). 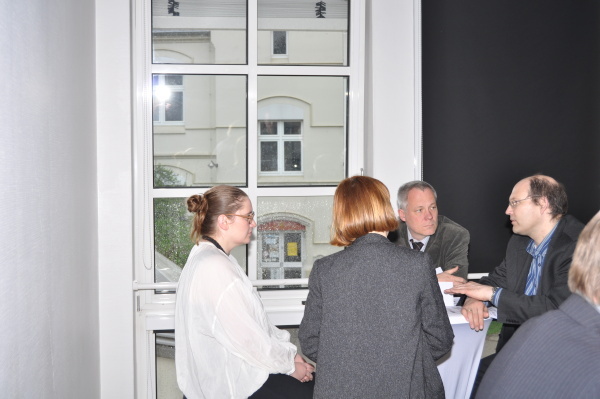 Assisted by a moderator, the BSSD brings business representatives and scientists from different parts of the world and from various scientific fields together and helps to explore the possibilities of innovative joint projects in fruitful discussions. 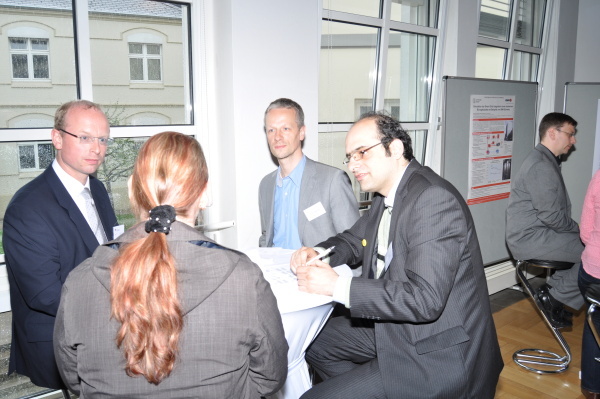 Four conversational partners (one business representative and three scientists) form a conversational round table. 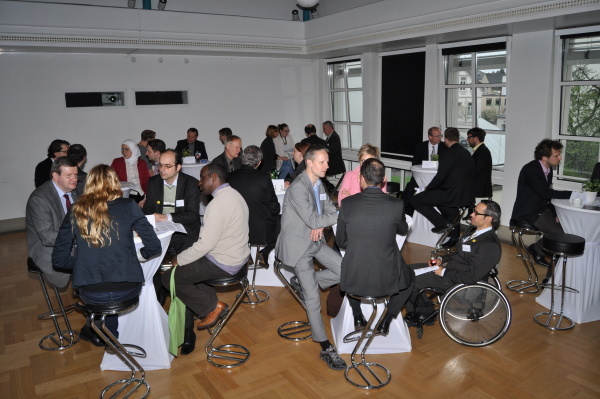 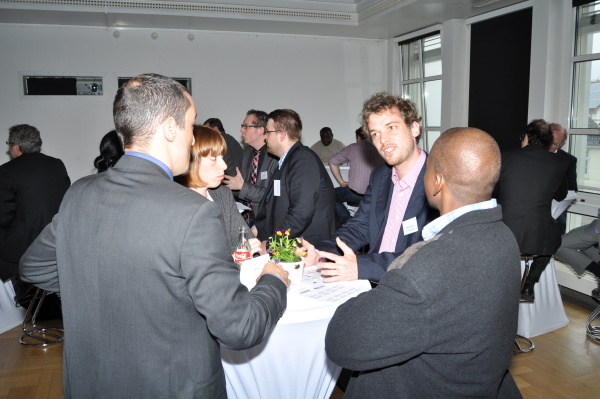 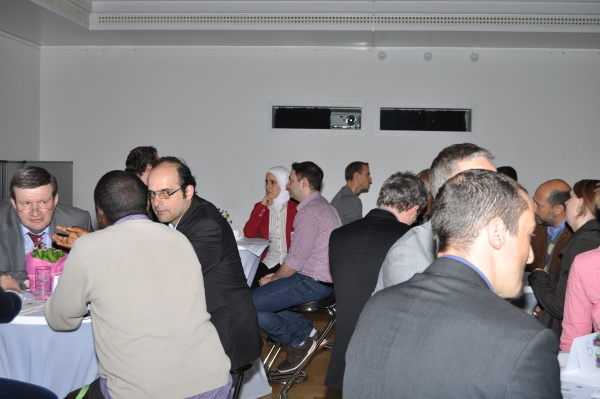 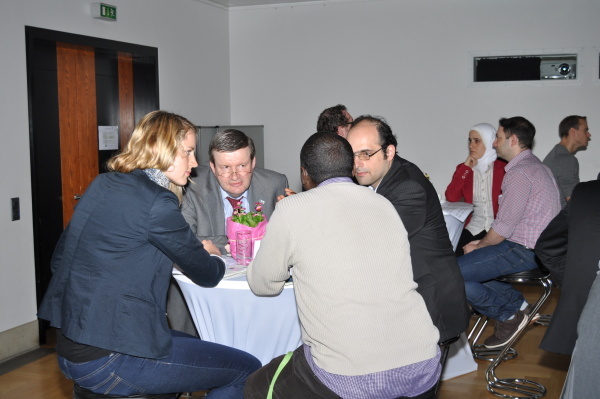 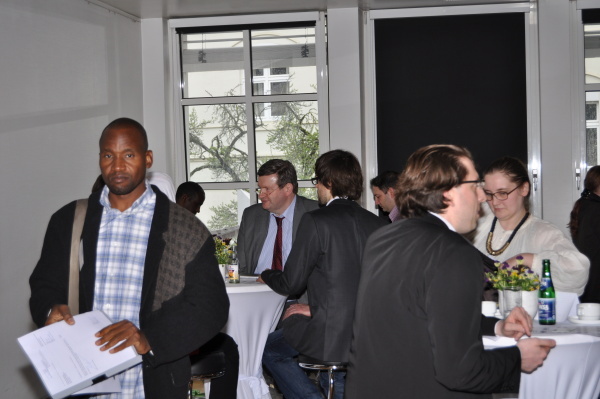 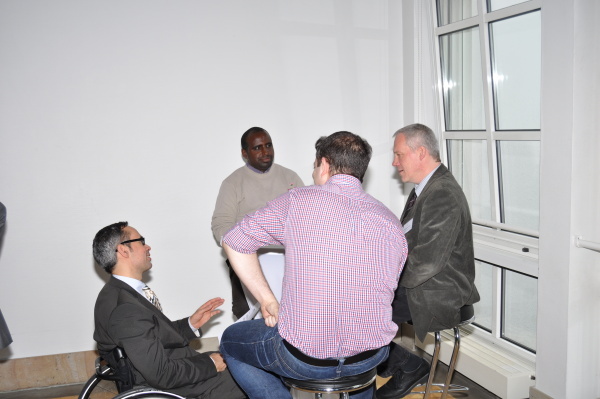 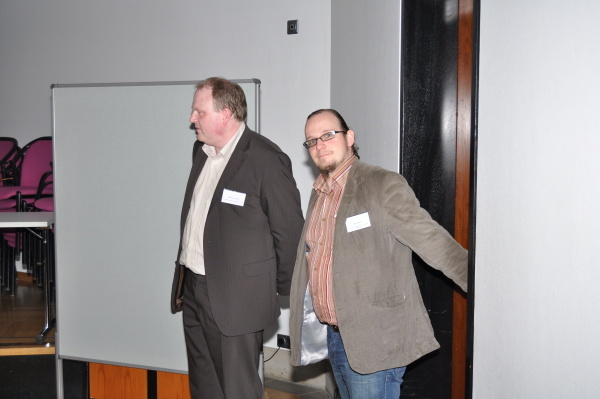 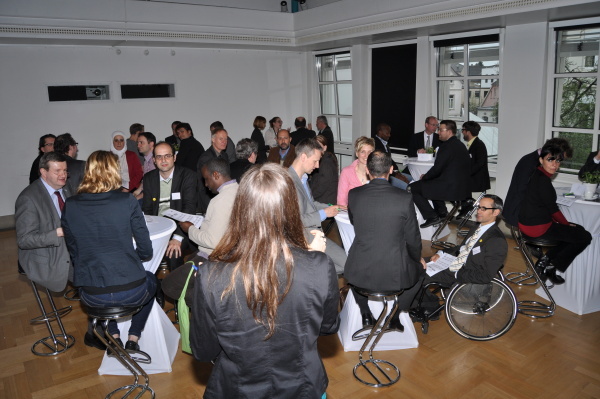 We plan to have up to 10 conversational round tables, so that up to 40 participants can join the event. 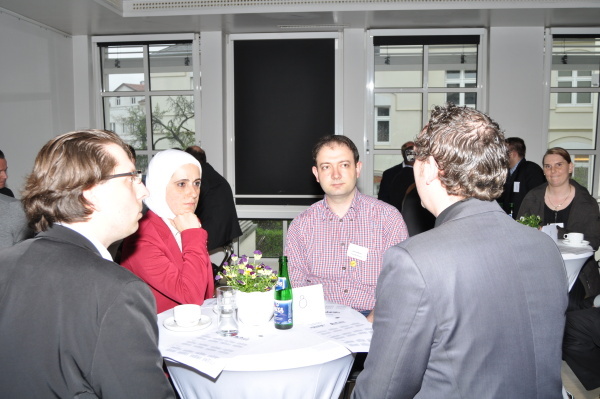 At each round table, you meet three conversational partners: Starting with the business representative, every partner has 5 minutes to introduce her- or himself. 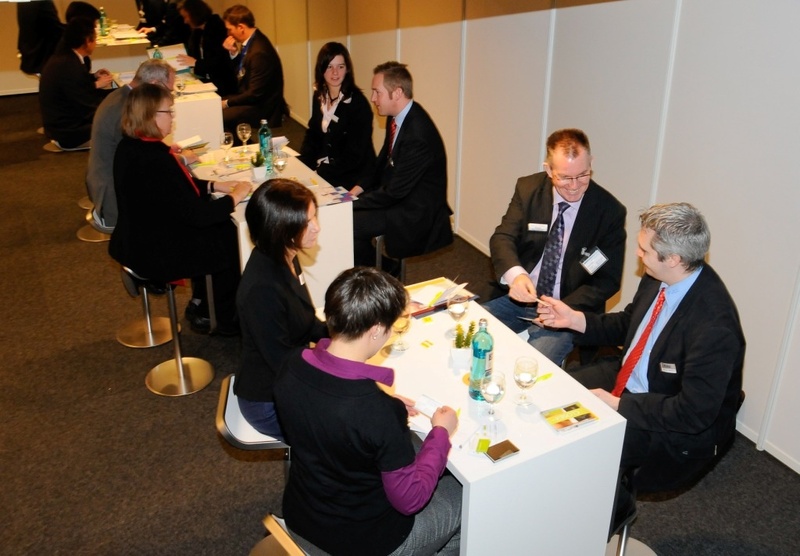 You will be surprised how inspiring such random contacts will turn out: the exchange of business cards, flyer and brochures will help to consolidate your contacts. 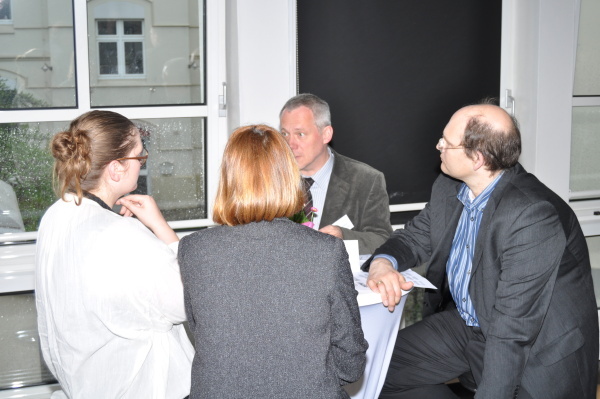 After each partner has introduced him-/ herself, the conversational rounds will be reassembled, so that you meet other people in the next two rounds. 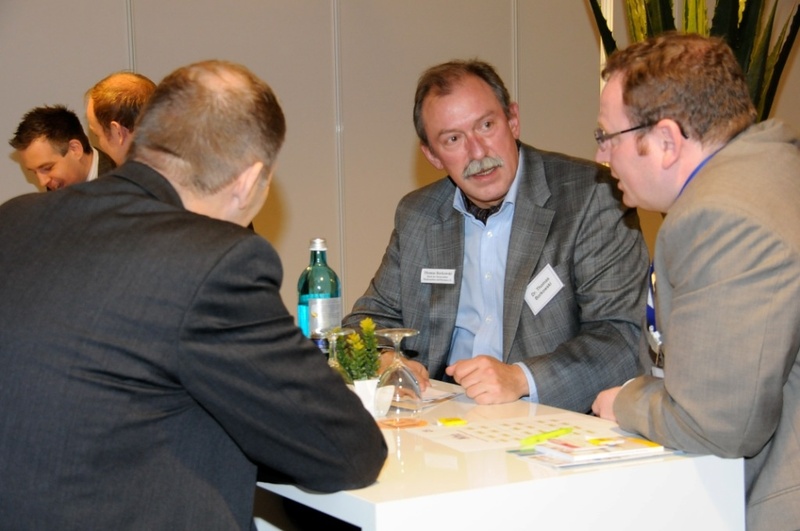 A rotation plan tells you, which table to visit next. 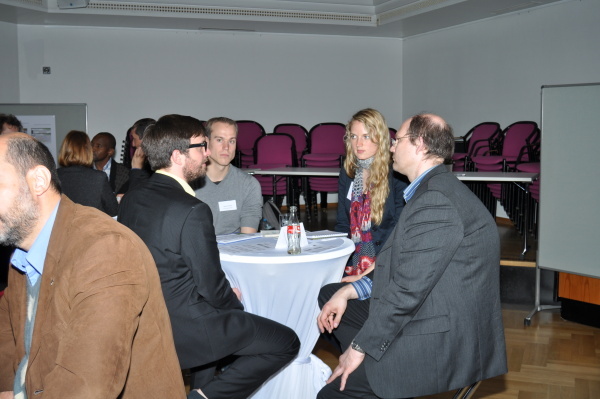 If you are interested in joining us, please make sure to select the Business-Science-Speed-Dating during your registration at Amiando. 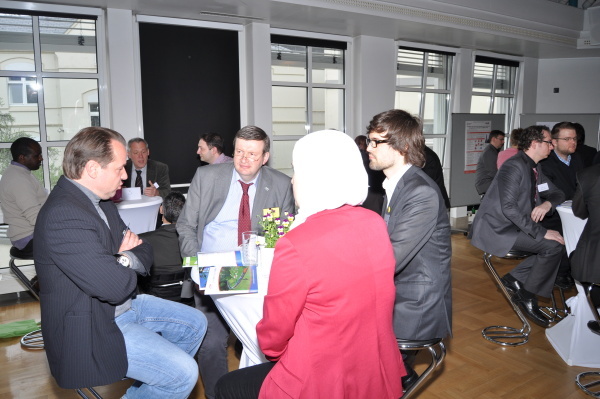 The offer is free of additional charge for participants of the EnviroInfo 2014.